MTG should not be new to you as I’ve previously featured MTG’s ReFa Carat Facial & Body Massager on my blog post here. 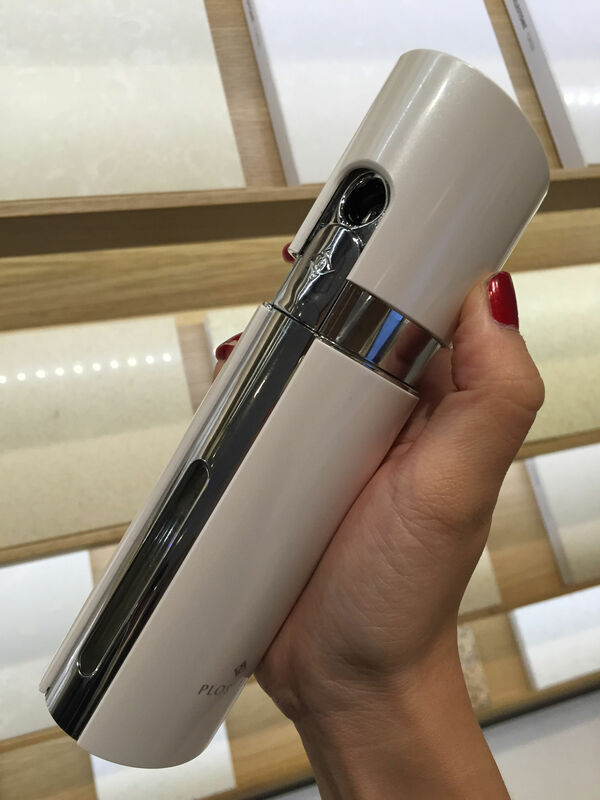 So, a while back, I was invited again for their bloggers’ & media preview as MTG launched in Singapore, their ReFa S Carat which is a smaller, sleeker version of the ReFa Carat, as well as Plosion carbonated mist set, which is a beauty product coming from Japan, more of that below! 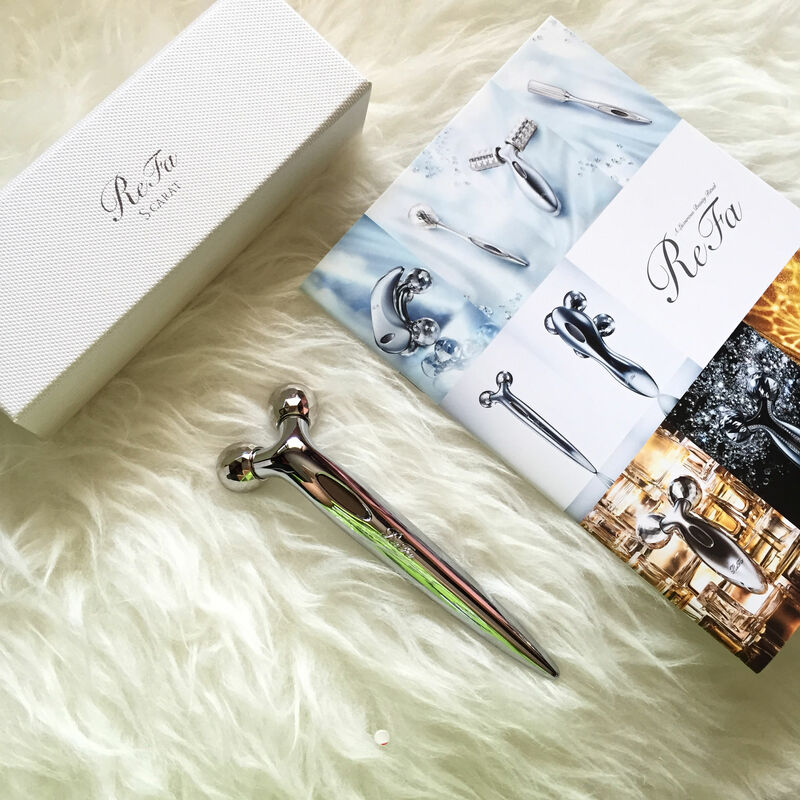 ReFa S Carat is more suitable as a facial massage – for the nose, cheeks, side of face – as compared to the bigger ReFa Carat. Priced at S$220. For more information and to purchase, visit their Singapore site here. 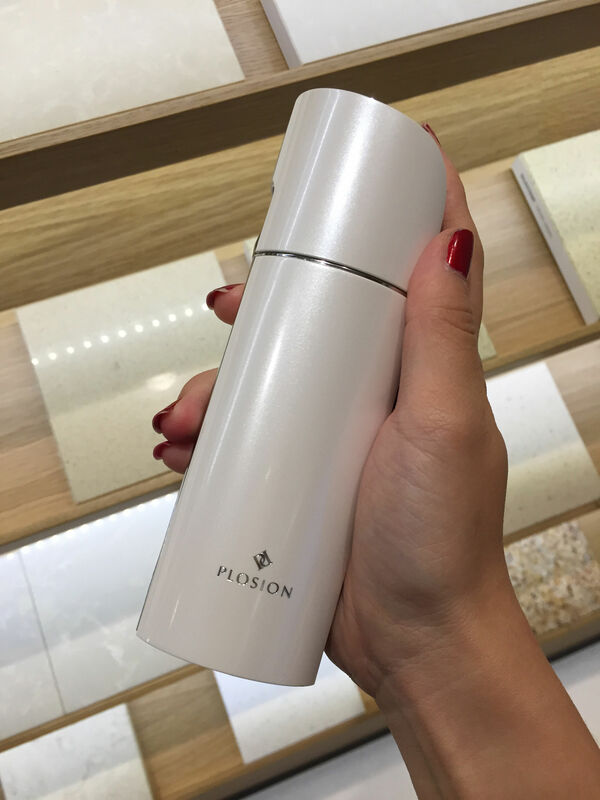 Now on to MTG’s PLOSION – it’s designed for convenience and functionality, the PLOSION diffuser has a portable compact body capable of emitting a small but powerful jet of carbonated mist containing three times the average concentration of carbonic acid. Carbonic acid has emerged as a new beauty trend in Japan and the treatment aims to give your skin a healthy dose of hydration, anytime anywhere. Before I attended this media preview session, I was honestly clueless about carbonic acid because well, it’s not something that’s popular in Singapore – at least something that I was unaware about! So I did some research about it before the event and I was quite surprised with the results I found, namely that it’s already super popular in Japan. And the MTG staff told us that they have already introduced Plosion way back in 2008 in Japan(!) and the version that they are now introducing in Singapore is already quite advanced. Carbonic acid: From food to cosmetics! Carbonic acid has taken Japan’s health and beauty scene by storm in the last several years. The trend started with popular carbonated-water diets and moved to a huge boom in carbonated bath salts, hair and scalp treatments, and now cosmetics! Carbonic acid lifts dirt from pores, promotes healthy circulation, and more. Blood circulation in the skin is what promotes cell turnover, which has a host of skin benefits–including fighting dullness and spots as well as combatting sagging and swelling. Sounds amazing, huh? How come I haven’t heard of it earlier in Singapore? HAHA. Available in 3 colours, silver, white & dark red. For more information and to purchase, visit the site here. 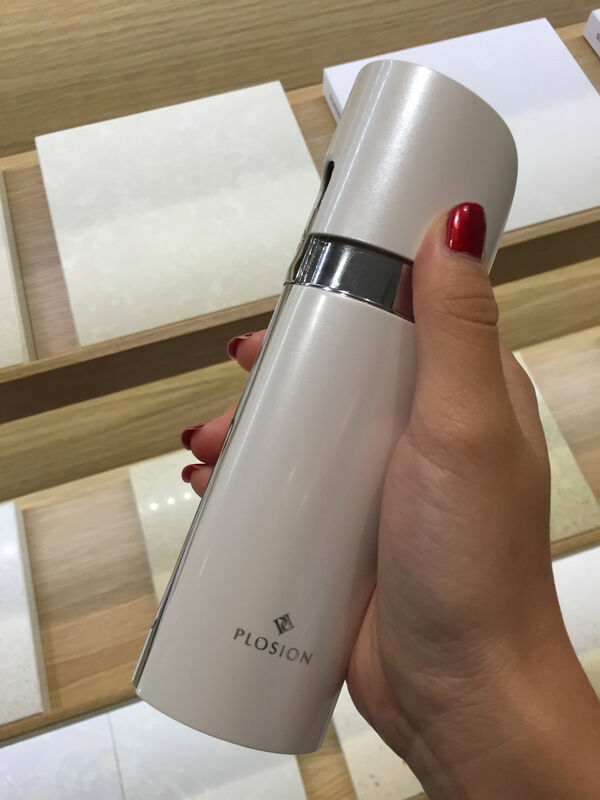 I’ve tried the Plosion product, it definitely feels very refreshing and moisturizing. It’s supposed to also be able to lift sagging skin, although I won’t be able to tell or see the difference. 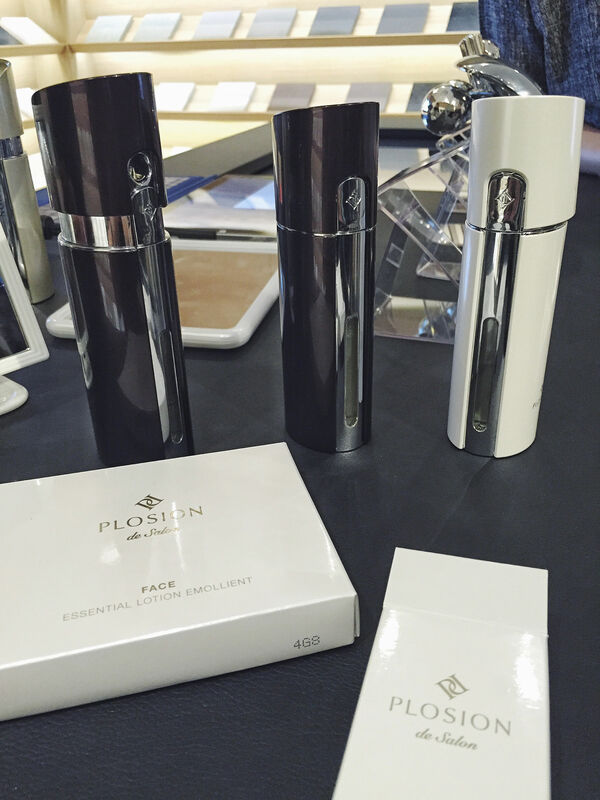 The product should last you about 30 days if you use it daily, refills would cost about $99. It’s definitely a product targeted at the more mature crowd, considering the product features and price point! 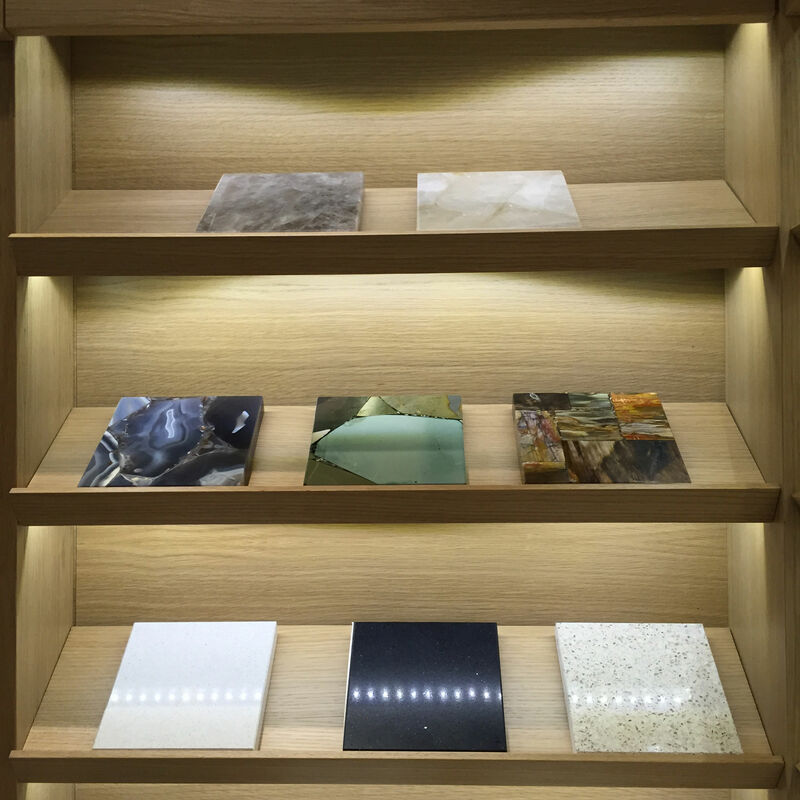 Also loving the media preview space at Cosentino gallery, more of the space in another blog post! 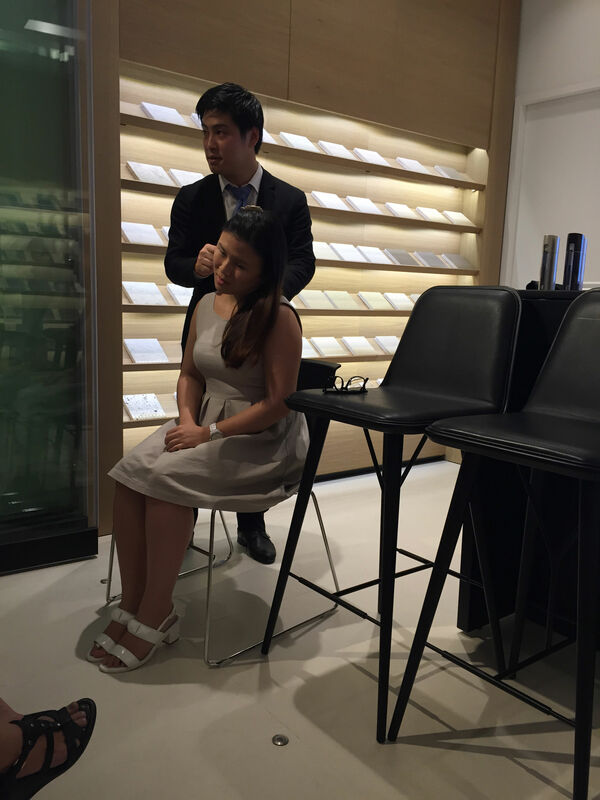 Thank you MTG Singapore & Touch PR for the invite & ReFa S Carat!